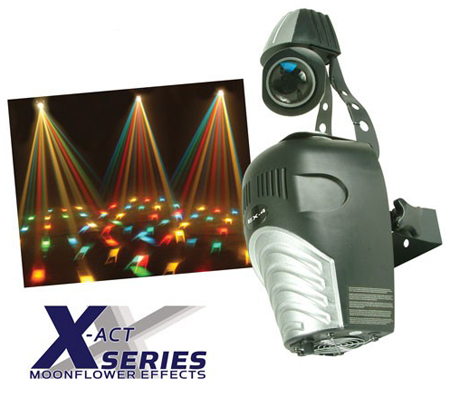 The EX-4 features a scanner that projects Multi-colored beams that lightens up the life of any party. It is also fan cooled and carries a built in microphone so you can set the EX-4 to perform sound actively to the beat of the music. With the effect switch feature you can have the EX-4 play continuously non stop or having it play Sound active, its your choice. The EX-4 is the ultimate effect in DJ and club lighting! Dimensions (LxWxH): 10" x 9" x 19"